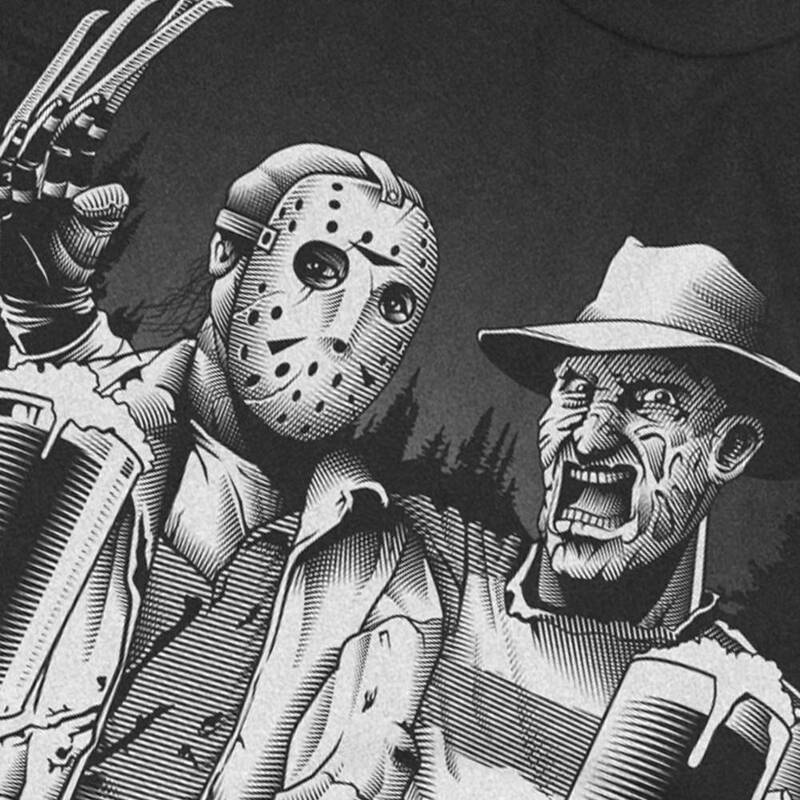 The perfect mens Halloween shirt for any Freddy Kruger or Jason fan. 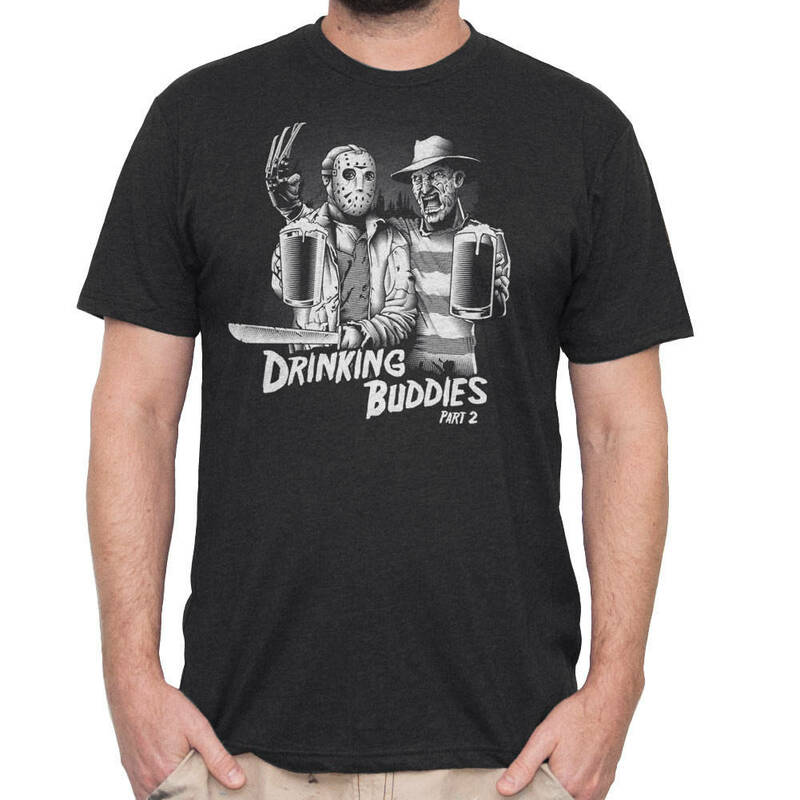 Men's hand screen printed illustration of Freddy Krueger and Jason Voorhees enjoying a beer. 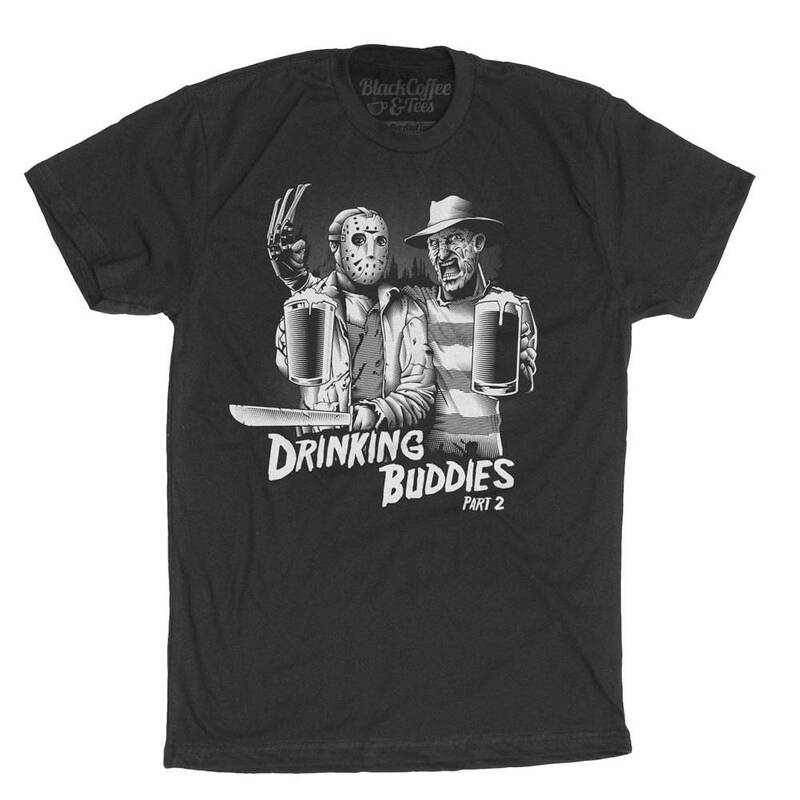 Screen printed shirt perfect for Halloween. Great, soft shirt. Incredibly fast shipping. Thanks.